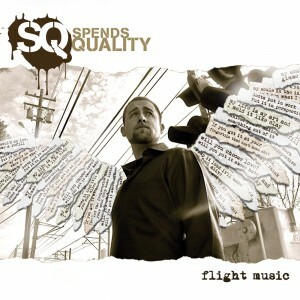 Flight Music is meant to take you higher, and represents Spends Quality’s first solo flight, spreading his wings as the sole producer and main writer of this 12 song joint. A hypnotic lyrical cadence reminiscent of Rakim slang with a Cali twang descends like dusk onto a funked out, soulful landscape of crisp snares and flowing bass lines. Classic tracks pull listeners deep into themselves with precise melodies and introspective rhymes. Featuring authentic wordplay from Miss Marianna, Adam Fission, Blaz and Hunter Blackwell, plus sharp hooks from J.Kendall and Are Too.